Wallows present their debut album, Nothing Happens! 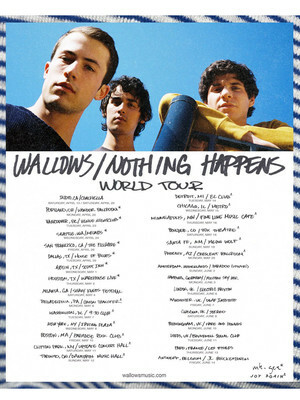 Relatively new kids on the scene, Wallows, are hitting the road this year as they celebrate their debut album Nothing Happens! Although the trio, made up of Braeden Lemasters, Cole Preston, Dylan Minnette, have been performing together since they were children it was 2017 when they decided to become Wallows. Begining to release music independently in 2017 the group's debut single "Pleaser" hit the number two spot on the Spotify Global Viral 50 chart. Signing to Atlantic records in 2018 Wallows released their debut EP "Spring" in the same year, with their single "Pictures of Girls" reaching the top 40 in the US Alternative charts. Seen Wallows? Loved it? Hated it? Sound good to you? 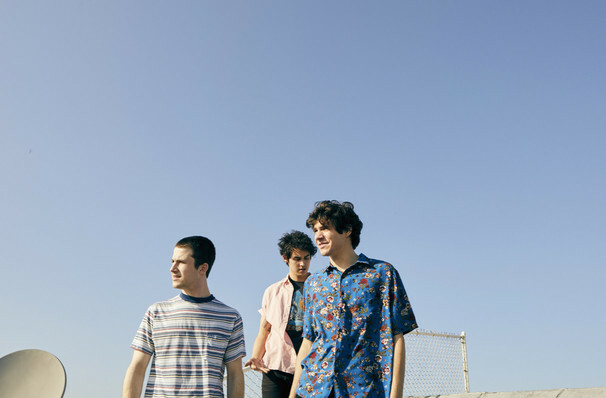 Share this page on social media and let your friends know about Wallows at Union Transfer. Please note: The term Union Transfer and/or Wallows as well as all associated graphics, logos, and/or other trademarks, tradenames or copyrights are the property of the Union Transfer and/or Wallows and are used herein for factual descriptive purposes only. We are in no way associated with or authorized by the Union Transfer and/or Wallows and neither that entity nor any of its affiliates have licensed or endorsed us to sell tickets, goods and or services in conjunction with their events.